Tarzan 3D, the latest production from Constantin Films, has attracted stiff criticism ahead of its US release over the quality of the motion capture animation it uses. 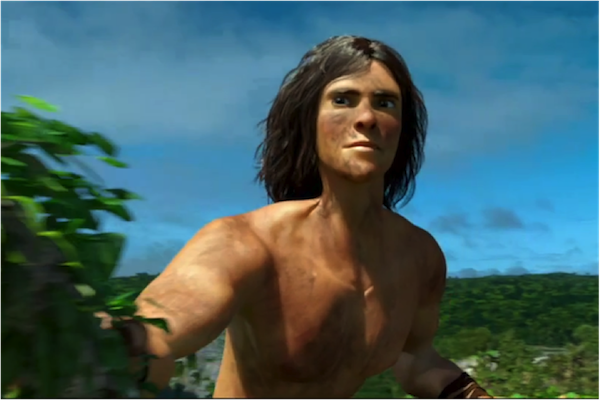 According to Firstshowing.net, the animation techniques used in the movie are less than impressive, suggesting the visuals were similar to “an old video game.” With the film already playing in cinemas across Europe, this type of criticism could spell problems ahead of the film’s make-or-break launch in the United States. The trailer shows Tarzan swinging through trees, interacting with his ecosystem, and ultimately trying to secure his love interest in Jane. But according to the critics, the scenes lack realism and a fluidity of movement. The jerky, pointed visuals, they say, show a standard of animation that is not quite on a par with the big budget animated movies of today. While motion capture technology was used in the making of the film, it has been suggested that the standard of the motion capture animation has been less than is to be expected. Ethan Anderton, of Firstshowing.net, said that the quality of animation in the film made it look like a poor imitation of today’s high quality animated movies. He expects the film will receive a less significant marketing push ahead of its US theatres release. This type of motion capture system is used in animating films, in addition to TV, computer visuals and video games. It is a technology that combines hardware and software to track and record the movements of a person, animal or object. These movements are fed in to the software processing system, which in turn renders a real-time animation of movement. The technology works by using receivers to capture motion as it happens, which the software is then able to record as a skeleton image. From there, graphic artists will build up the appearance of the character, whereas animators will be responsible for ensuring the smooth, fluid motion of the recorded movement is expressed in the end product. In movies where the critics are less than impressed with the animation, motion capture failings are often part of the problem, and part of what is to be blamed for the lack of a professional veneer. When compared to big budget animation movies, even slight inconsistencies in motion animation can make a scene feel less natural. Added up across a motion picture, this can give a less realist feel to the whole production, which implies a less effective animation job. On the whole, motion capture technologies are steadily improving. Motion animation began freehand, and moved through other painstakingly detailed phases like rotoscoping and movement tracing. Since computer technologies have been introduced into the mix, it has become significantly easier for those involved in animation to achieve efficiencies and an improvement in the realism delivered. No longer does the process have to take so long as with manual animation. With real-time motion capture, it has become easier to capture more extensive animations, with improved realism in their end result. Motion capture systems are continuing to become more accessible, including for smaller creative agencies and organizations. As prices for both hardware and software systems fall, the power and sophistication of these systems is continuing to increase. This is allowing all levels of the industry to achieve more groundbreaking results, courtesy of motion capture systems. Motion capture technology is not foolproof, and clearly there are some examples where critics feel animation standards have not held true to the standard of technology available. As the entertainment industries in particular become ever more adventurous in their use of these types of animation techniques, the general quality of motion capture results will improve. However, the process of animating motion capture still requires significant degrees of creative skill and direction to pull off the fluid realism that is fast becoming the standard expectation.